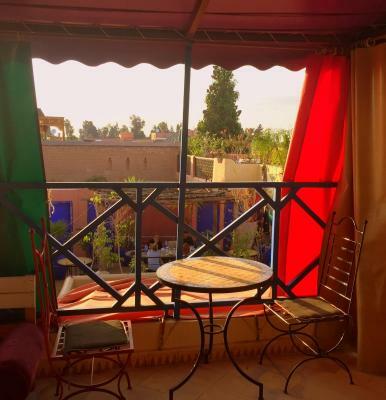 Lock in a great price for Riad Dia – rated 8.2 by recent guests! Location is perfect, there are good common spaces, rooftop is nice, staff is great. Wonderful rooftop terrace. When I was sick they were very nice. Amazing location just in the heart of Medina ! Great value for the money ! You really wont find any other place that close to the main square at this price! The hostel is colourful with a tree inside, be sure to visit all the bathrooms before taking a shower / some of them are way nicer than the others ! There is a nice roof top pity nothing happens there and the hostel is missing some social life. Breakfast was good. Location is good, but might be hard to find for some people. My friend and I stayed here for a few nights and absolutely loved it. The staff were amazing.. very accommodating and knowledgable. It is a very chill environment. One of the best hostels I've stayed in. 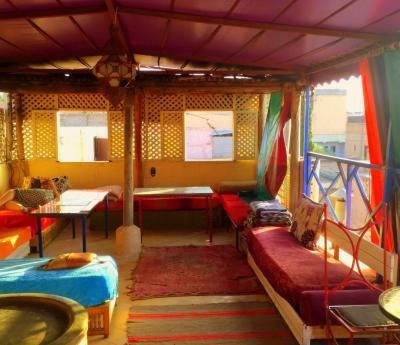 Good hostel right next to the big famous square in Marrakech medina. The location is indeed perfect .. at first can be very complicated to reach it... By chance of luck in my own experience. He rooms are enough for a 5€/night price tag although the in my opinion they miss a little comfort. The high point is the place itself. Very beautiful with a interior courtyard and a big Terrace overlooking the medina. I did not like the bathrooms not so hygienic... It's not Europe... 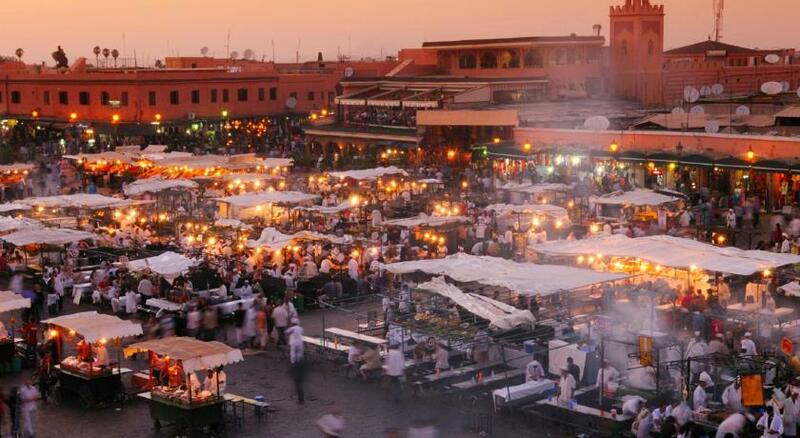 But still it's Marrakech. Free WiFi. The hostel was situated close to the market. The breakfast was really good. That place was just an amazing, colorful and such a beautiful. I loved the bathroom, almost bigger then our room. really Interesting place. And also breakfast was great for that price !! Featuring a plunge pool, the Riad Dia is in Marrakech. The property is just over 1 miles from Majorelle Gardens. An array of activities can be enjoyed on site or in the area, including cycling. Free Wi-Fi access is available in public areas. Dormitory rooms will provide guests with air conditioning. You can enjoy a patio view from all the rooms. The private bathrooms also include towels. At Riad Dia, there is a 24-hour front desk and a terrace. Other facilities include a shared lounge, a tour desk and luggage storage. For a fee, public parking is available at a location nearby. 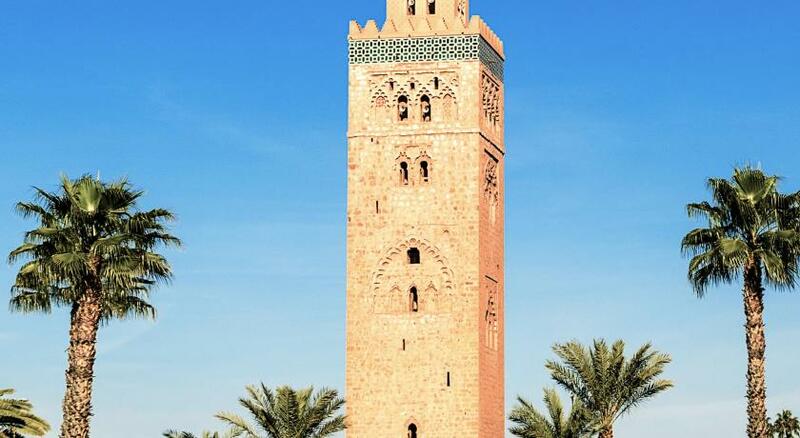 The hostel is 3.5 miles from Menara Marrakesh airport. A shuttle to the airport is available upon request. When would you like to stay at Riad Dia? This bed in dormitory has a private pool, air conditioning and washing machine. This bed in dormitory features a private pool, seating area and view. House Rules Riad Dia takes special requests – add in the next step! Riad Dia accepts these cards and reserves the right to temporarily hold an amount prior to arrival. Run down place with wierd aura around. So many travellers left and the bed sheets never got changed. We left for a trip in the dessert and although we had our things left on the beds,they were taken from other travellers when we came back from the dessert. In the whole hostel there are only 2 bathrooms with showers. I didn't see during 2 days even 1 smile from the receptionist. Even during breakfast, they didn't ask as if they can take the food from the table even if we didn't finished. That made our good impression from our stay a bit law. But on other side, they did everything and also some thing extra. like we asked them that we are 11 and if we can put 1 mattress in our room by 10 so everyone can stay together. and for them it wasn't problem at all :-) Also from their initiative they helped us with heavy luggage. and Lady i guess she was cleaner she was really nice and polite. Administration. Please develop a program for check in. Better to do the registration on computer, print a digital paper, sign it and give a copy for the visitor. It will be easier for both sides and looks professional. in this century it's funny to make registration on a copy Book. Clean, the location is perfect and friendly Staff "Youness"
The room had a few too many beds crammed in with not much space for people's bags, the staff weren't particularly talkative or helpful and the unfortunately the pool is no longer in use. It's a really pretty hostel with a great terrace that was a lot of fun in the evenings. The location is absolutely fantastic and couldn't be improved, I never felt like I had to go far for anything in Marrakech. There is no hot running water in neither of the showers, and it's not very pleasant to take cold showers during the winter. The ambiance is great, everything is beautiful in the hostel! Great location with great hospitality! Beautiful place in exactly the right spot to explore the Médina. Thanks for the great time and the help to plan any further trips. Nice Riad but in January it gets extremely cold inside what made my sleep not comfortable. It was very noisy as well on the ground floor. Cheap hostel in nice location, just few meters from main market square. Colorful design, free breakfast. This is really cool, comfortable place with very nice people and wonderful roof sitting. Very good price. 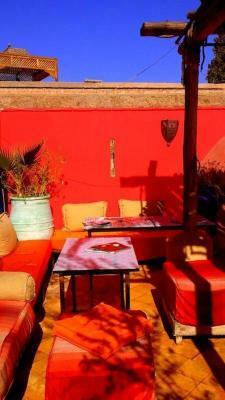 Very friendly people, clean rooms and other facilities, very good location and realy authentic feelig of a Morrocan riad. 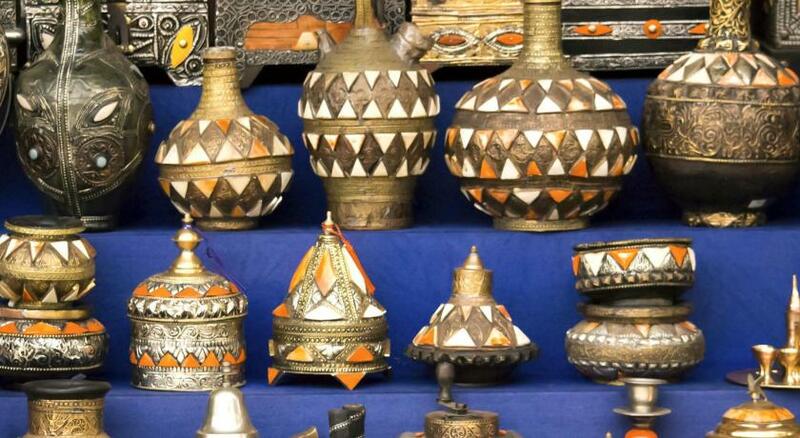 I realy recommend to every traveler who loves adventure and wants to enjoy Marrakech. Not enough bathrooms/showers for the people staying there. It's also a bit noisy. Very friendly staff and good atmosphere. Sadly we only got to stay here for our last night in Morocco before heading to the airport, wish we had spent more time here. Colourful quirky and relaxing place, staff was super chill and helpful, lots of other young travellers staying here. Relaxing on the comfy rooftop at sunset was a good way to round off our trip.